A perfect spot for your next Glendale deposition. 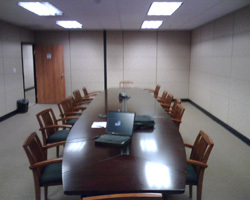 An ideal deposition-taking environment with modern facilities! Technology and service all make this TO&A Conference Suite an amazing place to hold your next depo.